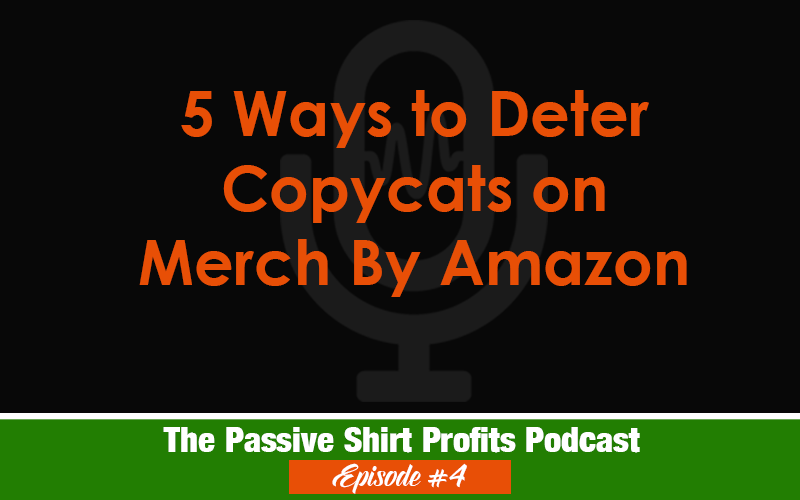 If you start having any kind of measurable success on Merch By Amazon, the lazy thieves will be there waiting to steal your work. Thankfully, the improved copycat detection software employed by Amazon has helped combat this a LOT. Nevertheless, here are five strategies you can use to help deter theft. You mention studying, researching and learning a lot. By nature, I am both a studier and I’m creative. My problem is i just tend to collect and hoard information. I’m not always sure when, where or how to start. I drown in all the information and research I collect. Out of curiosity, how do you decide when it’s time to stop researching/studying and just start? Heeeey Tracey! This is such a common issue with people online with both of my sites. So you are not alone. What I’ve found is that the underlying reason people do this is they feel they have to have everything perfect before they start so they don’t mess up. But it actually works against you because you become afraid to start due to all the information you’ve gathered. That is sooooooo not necessary ESPECIALLY with print on demand. One of the best things to do with this is to just start uploading and figuring out what works. You need that experience and uploads to figure out what works and what doesn’t. Planning is fine and it’s great to do research, but it’s not going to protect you from making mistakes. The best way to TRULY learn and succeed is to take action. You might make mistakes but that’s exactly what is necessary so you’ll learn and eventually succeed. I hope you decide to enroll in one of my courses so you can be a part of my private group. I am running a challenge right now for people just like you. Many people in the group have the EXACT same problem. They are stuck in analysis paralysis/research mode. The challenge is going to help them through that and we will be doing challenges monthly. The best way to cure that is to take action. The only 2 things you need to do right now is figure out what niche you want to sell in and start uploading. Once you’ve selected your software program, you can proceed to create. Be careful of analysis paralysis or information overload. It’s not going to prevent you from making mistakes and doesn’t always ensure success. Once you’ve decided your topic and software, it’s time to start!